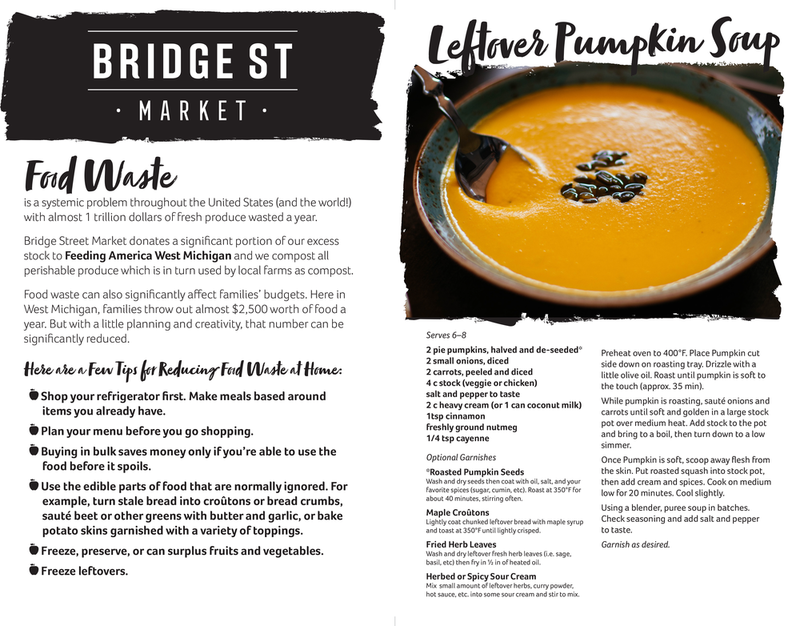 We’re passionate about food waste here at Bridge Street Market. We know with the holidays approaching, we all are looking for ways to better use our leftovers. We partnered with our chef friends Marijke De Jongh and Kate Leeder to come up with a fresh and affordable way to use your leftover pie pumpkins.